America's Waterway Watch (AWW), a combined effort of the Coast Guard and its Reserve and Auxiliary components, continues to grow, enlisting the active participation of those who live, work or play around America's waterfront areas. Coast Guard Reserve personnel concentrate on connecting with businesses and government agencies, while Auxiliarists focus on building AWW awareness among the recreational boating public. AOPA has partnered with the Transportation Security Administration (TSA) to develop a nationwide Airport Watch Program that uses the more than 650,000 pilots as eyes and ears for observing and reporting suspicious activity. The Airport Watch Program includes warning signs for airports, informational literature, and a training video to teach pilots and airport employees how to enhance security at their airports. College Crime Watch involves college and university students in making their campus environment a safer and more hospitable place to peaceful living and learning. In partnership with administrators, faculty, and community leaders, students lead initiatives specific to the needs of their campus. Ignitus Worldwide expands upon the mission established by Youth Crime Watch of America in 1979, empowering young people with the knowledge, confidence and courage to take control of their own destiny, and shape their own world. Harnessing everything we’ve learned over three decades, Ignitus Worldwide unites the global youth community through service learning, character education, substance abuse prevention, peer mentoring (in partnership with Big Brothers & Big Sisters), and the green schools movement. But this is only the beginning. The plan is to constantly evolve and adapt to the needs of each generation.By preparing today’s young people to be active and engaged members of their communities, Ignitus is laying the foundation for them to become active and engaged adults. Safe Routes to School programs enable community leaders, schools and parents across the United States to improve safety and encourage more children to safely walk and bicycle to school. In the process, programs are working to reduce traffic congestion and improve health and the environment, making communities more livable for everyone. The Washington Meth Watch Program is a collaborative initiative, which began in Spokane County by the Greater Spokane Substance Abuse Council (GSSAC) and the Spokane County Meth Action Team to curtail drug lab activity by making the theft or purchase of precursor products more difficult. 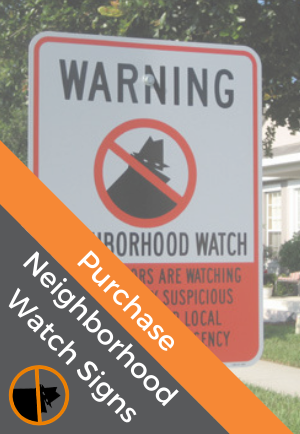 Since inception, it has grown from a core group of retailers using signage, educating employees, and reporting suspicious activity, to a broad membership of businesses linked together to prevent theft, fraud, and abuse in our community. Our group consists of Grocery Markets, Drug Stores, Convenience Stores, Auto Parts Stores, Pet/Farming Supply Stores, Banks, Credit Unions, Security Firms, Property Managers, and Storage Facilities. The strong community partnerships and proactive involvement of business owners and citizens alike, has made this prevention program a success throughout the state of Washington. Truck drivers from Waste Management are likely on your street every day. The drivers are familiar with their routes, so they're often the first to notice when something is amiss. As a community partner, Waste Management assists local police and fire departments by acting as extra eyes and ears on local streets. Through the Waste Watch program, WM provides training to drivers in what to look for and how to report suspicious or criminal activity to local authorities.